Blues-rocker Jeff Fetterman delivers a fiery follow-up to his well-received Bottle Full Of Blues album with this collection of ten originals as he prepares to represent the Williamsport, Pa.-based Billtown Blues Association at the International Blues Challenge next month. A talented picker with true blues chops and gifted tunesmith, he separates himself from the pack in a field dominated by shredders. Two of his songs have appeared in the soundtrack of NBC’s Passions and TNT’s The Closer, and another is featured in the Spanish-made film, The Tough Guy. Based in the north-central town of Kane, Pa., Fetterman fell in love with the blues at age five after seeing Jimi Hendrix on TV, and is heavily influenced by Stevie Ray Vaughan, Kenny Wayne Shepherd, B.B. King, Chris Duarte and Mato Nanji, who splits his time between his family band Indigenous and working with Otis Taylor. Now in his late 40s, Jeff picked up his first guitar at age 12, trading a bottle collect for it to a friend who collected both. A year later, under the tutelage of Sam Scott, he performed in public for the first time with Scott’s group, Cypress. As a young adult, he was lead guitarist with The Gunners, who were popular in the Rust Belt. He’s fronted his own band since the ’90s, releasing two other CDs in the process. An ASCAP Studio Awards winner, Fetterman fronts a solid four-piece unit here, backed by Eric Brewer on guitars, Ralph Reitinger III on bass and John McGuire on drums. They’re augmented by Judy Kessler, who provides backing vocals and handclap percussion. A syncopated guitar line introduces the hard-edged “Somebody Get Me A Doctor,” which describes an urgent need for a physician because his lady “has lost her mind and is goin’ to crash.” A strong baritone with a slightly road-worn, sometimes gravelly voice, he restricts himself to chorded guitar runs here, saving smooth, quality single-note picking for the tasty mid-tune solo, which put his true skills on display. 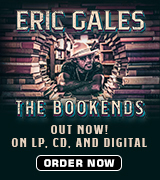 While all of his material has rock overtones, all of it remains strongly rooted in the blues. 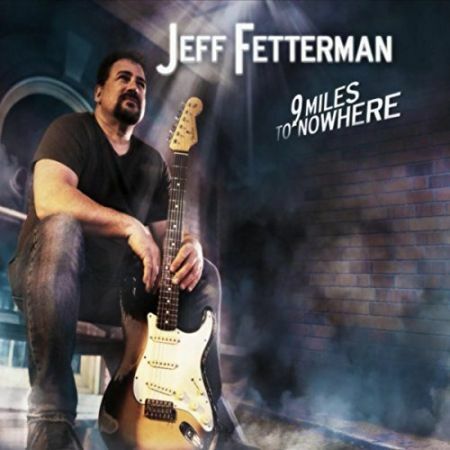 The melody brightens a little for “Something Just Ain’t Right,” which features Fetterman and Brewer sharing riffs and describes more problems at home. In this one, the singer treats the woman like queen, but she repays him with a brand of loving that simply doesn’t make the grade. The pace slows and the music takes on an other-worldly feel for “Devil Knockin’ At My Door.” Satan’s after the singer’s soul, but the mortal’s found redemption from a life of swilling whiskey and chasing women after hooking up with a lady who’s put him on the path to salvation. Up next, “Brand New Day” is a straight-ahead blues that opens with a Chicago feel and a positive attitude despite a woman having walked out for good the night before. The uptempo roadhouse blues “Lover Man” gives Fetterman plenty of room to stretch out on his axe before recounting a meeting with a hard-partying lady the weekend before. 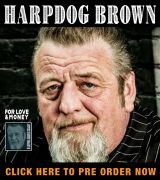 A military drumbeat sets the tone for the swamp-flavored “Goodbye John Brown.” In it, a woman walks out, leaving a note behind for her lover, the title character, who tracks her and her new lover down, then drills him with a .44. A slow, straight-ahead blues, “Broken Hearted,” is up next with Fetterman unhurried and slightly behind the beat as he gets to stretch out again for an extended opener before pleading for one more night of romance from another lover who’s just left him in the lurch. It’s followed by “Early Grave,” a pleasing six-minute boogie that deals with another wayward lady who’s driven the singer to drinking and smoking far more than he should. The theme continues with the bluesy rocker “Bad Feeling” before “These Arms Of Mine,” a bittersweet blues ballad, yearns for the lady’s return. Available through CDBaby or direct from the artist’s website, 9 Miles To Nowhere is worth a spin despite the recurring, monochromatic theme. All of the songs have substance, the musicianship is rock-solid and the almost equal mix from blues rock to straight blues makes it an interesting listen to anyone whose feet are grounded in both worlds.